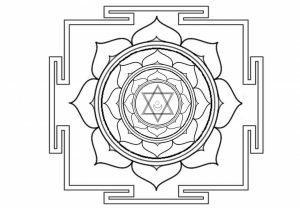 Raja Yoga in a natal chart is perhaps the penultimate birthday gift, signifying the individual’s karmic capacity to harness individual effort and good fortune. 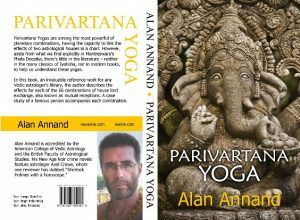 Although its name alone implies that it’s a combination fit for a king, this yoga is nonetheless often found in the charts of “normal” people. Therefore, one may well ask, is it rare or is it common? If we reflect upon the Raja Yoga’s more descriptive name – Dharma Karma Adhipati Yoga – we find the root of its astrological definition. Thus, it is a yoga involving the positive combination of dharma (trinal/trikona) and karma (angular/kendra) house lords. The dharma houses are the 1st, 5th, and 9th, signifying among other things ethical, honorable or right action. When one follows dharma, one does no wrong, and good fortune should (logically) accompany the individual. The karma houses are the 1st, 4th, 7th and 10th. They represent actions the individual takes, which are observed by others, and which subsequently reflect upon the reputation of the person performing such actions. It’s generally assumed that in order to wield any power, in one’s own affairs or those of the world, the individual should have at least one or more planets in an angular house, or one or more combinations involving angular with trinal lords. When considering the possibilities for such combinations, we find there are hypothetically only 11 such yogas per chart. 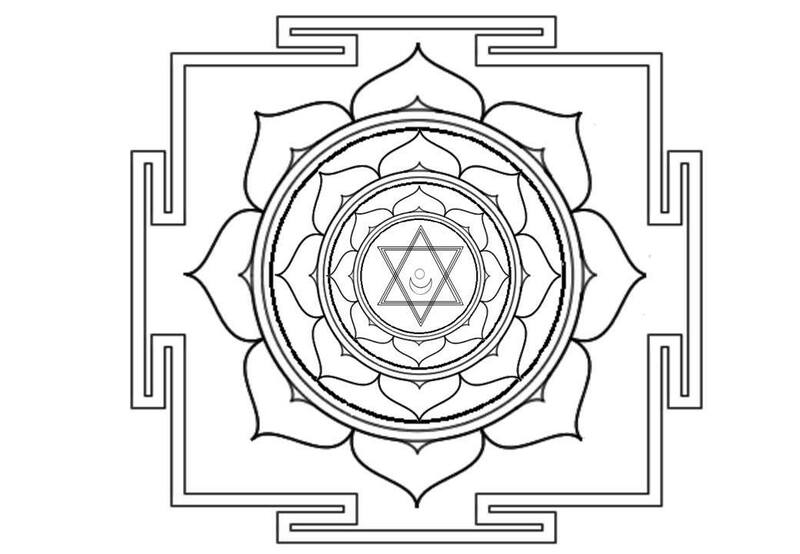 Since the ascendant is considered both a trikona and a kendra, the lagnesh is one of the most potent planets in the chart to form yogas with other planets. If we take the lord of the 1st house as a trikona lord, it can form yogas with the lords of the 4th, 7th, and 10th (kendras). If we take it as a kendra lord, it can form yogas with the lords of the 5th and 9th (trikonas). Thus we see that the lagnesh alone has the potential to form raja yoga with other planets five (5) times. After that, however, as we work our way around the chart, the planets are strictly kendra or trikona lords. So the 4th lord (kendra) can only form raja yoga with the lords of the 5th or 9th (trikonas). 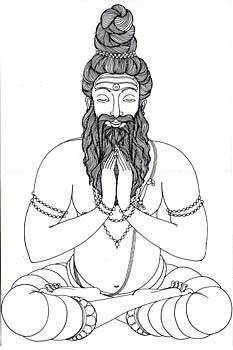 The 5th lord (trikona) can only form raja yoga with the lords of the 7th or 10th (kendras). The 7th lord can only form yoga with the lord of the 9th. The 9th lord can only form yoga with the lord of the 10th. 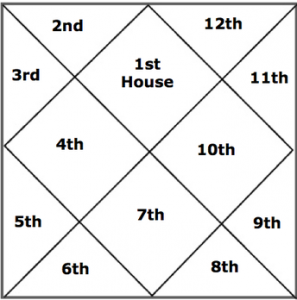 Thus, after the lagnesh, the remaining kendra and trikona lords have only six (6) possibilities to form raja yoga among the other house lords that remain as we circle the chart. So in total, we have the hypothetical possibility for 11 raja yogas in a chart. In reality, however, some ascendants can’t achieve that. This is because the word yoga itself implies union, ie, one planet with another. By definition, one planet can’t combine with itself. 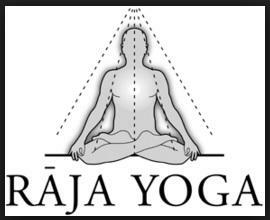 So for charts whose ascendants are ruled by Mercury or Jupiter, their potential for raja yoga is curtailed. If Gemini or Virgo is rising, lagnesh Mercury cannot form yoga with the 4th or 10th lord, respectively, because they are one and the same planet. Similarly, if Sagittarius or Pisces rises, lagnesh Jupiter cannot form yoga with the 4th or 10th lord, respectively, because they are one and the same. In six other ascendants we encounter a yogakaraka planet, ie, one which rules both a kendra and a trikona. If we consider the yogakaraka as bisexual, that means it has more opportunities to find a qualified partner. For Venus-ruled ascendants, the yogakaraka is Saturn. For Saturn-ruled ascendants, it is Venus. For ascendants ruled by Sun or Moon, it is Mars. Although the yogakaraka planet has a switch-hitting potential to form yoga with other planets, by definition it cannot form yoga with itself. Lastly, we have the Mars-ruled ascendants, in whose charts there are technically no restrictions to forming the full complement of 11 yogas. Although there is no yogakaraka for these ascendants, neither is there a planet ruling two angles. Except for the lagnesh itself, each of the other kendra and trikona lords are different planets, thus allowing a full range of intermingling in order to form yoga. To review, the basic rule for forming Dharma Karma Adhipati Yoga is that (1) a kendra lord must combine with a trikona lord, while (2) these lords cannot be one and the same planet. Aside from the above, the only other restriction is astronomical reality. Let’s take Saturn as one potential participant in yoga. To form yoga with it, the Sun must be associated with Saturn or opposed it – in the same or opposite sign, allowing just two signs out of a possible 12. Expressed as odds, that’s one in six, or a 16.7% chance that Sun and Saturn will form sambandha. And if they own the requisite houses, they will form yoga. The same rule applies to most other pairs. The Moon, Mars, Jupiter and Saturn have completely unrestricted movement, and can be found anywhere among the other 12 houses/signs with respect to each other, and with respect to the Sun, Mercury and Venus. Among these latter three, however, their relative freedom of movement among themselves is tied to an astronomical reality. Mercury and Venus are inferior planets which, from the Earth’s point of view, are always seen somewhere near the Sun. Since Mercury can never exceed 28 degrees distance from the Sun, it’s always in the same sign as the Sun, or one of the adjacent signs. One possibility out of three gives them a 33% chance of sambandha. Since Venus can never exceed 48 degrees distance from the Sun, then it’s always in the same sign as the Sun or one of the two adjacent signs on either side. One possibility out of five gives them a 20% chance of sambandha. Even if Mercury is 28 degrees on one side of the Sun, and Venus 48 degrees on the other, those two inferior planets can never be more than 76 degrees apart. So if we took Venus as being the stationary point, that means Mercury could be 76 degrees earlier in the zodiac, or 76 degrees later. So if Venus was in early Aries, Mercury could be back in mid-Capricorn. Or if Venus was in late Aries, Mercury could be ahead in mid-Cancer. So if Venus were in Aries, Mercury could range from Capricorn to Cancer, a span of seven signs. So the odds of Mercury and Venus being in sambandha are roughly one in seven (14%). When we crunch through all these numbers, using logic as a guide and a spreadsheet as a calculator, we get a hierarchy of ascendants. The ones at the top have the greatest odds of their planets forming raja yoga, the ones at the bottom have the least. Tier 1 comprises the Mars-ruled ascendants. Aries and Scorpio have the greatest potential to form raja yoga. Coincidentally, Mars gains dig bala in the 10th house, and is a kshatriya planet with a natural disposition for command and control. And the 10th house is the primary house of karma. Tier 2 entails Taurus and Aquarius. Each has a yogakaraka, Saturn and Venus, respectively, acting as 9th lord. The 9th house is the primary house of dharma. Tier 3 involves Leo, Cancer, Libra and Capricorn, all hovering just a little above average chance of forming raja yoga. For Leo and Cancer rising, Mars is the yogakaraka – owning the 9th and 5th houses, respectively. For Libra and Capricorn, their respective yogarakaras, Saturn and Venus, both own the 5th house. Tier 4 covers the mutable ascendants Gemini, Virgo, Sagittarius, and Pisces. For dual signs rising, there is no yogakaraka. Therefore, none of these ascendants offers a planet that can rule a dharma and karma house at the same time. As we look back on this, consider the initial premise of the raja yoga – a person with a good heart (dharma) and a steady hand (karma). We can see in these four tiers a hierarchy of control. Aries and Scorpio share a 10th-house capacity at the zenith of the chart. Taurus and Aquarius have a 9th house capacity, descending from the zenith. Leo and Cancer have a mixed influence of 9th and 5th houses, dipping across the horizon from one dharma house to another. Libra and Capricorn share a 5th-house theme, now well below the horizon. The dual signs, having no yogakaraka, may indeed represent the nadir of potentiality, at least insofar as “kingship” or its modern equivalent goes. But that only implies their raison d’etre may well lie elsewhere, in business, education or the media. He’s also the author of several non-fiction books. Stellar Astrology offers a compilation of time-tested techniques, in-depth celebrity profiles, and analysis of world events. Parivartana Yoga is a reference text for one of the most common yet powerful planetary combinations in jyotish. Mutual Reception is an expanded companion volume for western practitioners, covering the same subject of planetary exchange through the lens of traditional astrology.